A crucial practice when working with beastly sessions is having a system of organization that you know and trust: one which allows you to quickly navigate your sessions. I use a combination of color-coding, grouping, track show/hide memory locations (in this case, in Pro Tools), and multi-buss mixing to get my sessions dialed in before diving into the mix tasks such as balancing, processing and automation. Staying organized makes it possible to stay on task creatively. It’s easy to get bogged down when trying to hunt for the multiple layers of drums, synths, and vocals which are common in modern productions, so it’s important to get the DAW sessions to a point where I know where to find each and every element of the arrangement so that I can get creative. Decades ago, recording engineers were sometimes called ‘balance engineers.’ These talented technicians would make aesthetically-driven decisions regarding how to capture sources, and decide on the relative level or ‘balance’ of the recorded parts. With the technical restriction of very limited track counts, it was essential to get a production sounding like a ‘mix’ very early on. 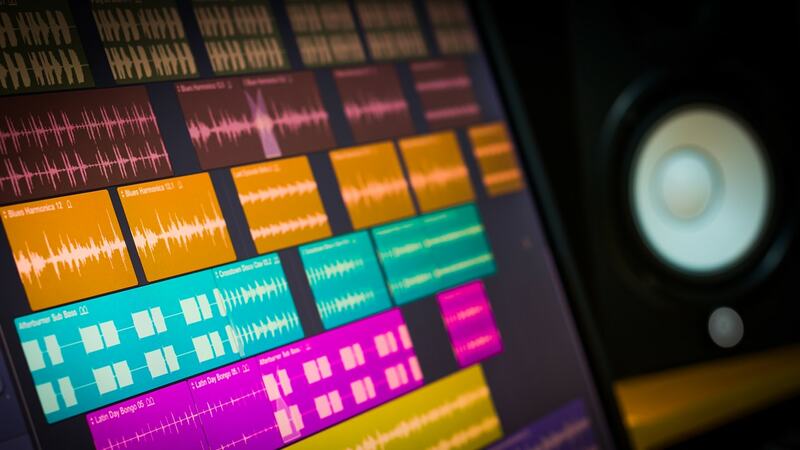 Today, thanks to modern technology, we benefit from the easy ability to record parts separately, whether a different time, or in a different location entirely and easily save all the settings with our DAW sessions. With less of a need to commit to relative levels at the early stages of a production, mix engineers are left with the ability (or burden) to change the hierarchy of the arrangement by featuring elements that might be better suited as supporting roles. Faders are beautiful things: use them. A good portion of the time I spend on a mix is doing fader rides; this becomes especially important when working with a swarm of tracks. There’s no substitute for putting your hands on a fader and creating delicate, interweaving relationships between musical performances. As part of getting the balances right, also pay attention to panning. Where sounds, or groups of sounds, sit in the stereo spectrum contributes greatly to the depth and width of a mix. Lead vocals, kick, snare and bass are generally dead center, with most everything else panned with varying degrees to the left or right. Recently, I was struggling with a mix with many layers, resulting in an extremely high track-count. I was attached to a synth that was up the middle, but it was drawing attention away from the lead vocal. I decided to pan it about 50% to the right, and the mix opened right up. In other cases, distorted electric guitars have the power to ruin the definition of a mix if not panned correctly. If your session contains doubled electrics, try hard panning outwards. After my sessions are organized and the rough balances are set, my next task is generally to hunt down problem-frequencies and attenuate them using subtractive equalization. The H-EQ Hybrid Equalizer is excellent for this application; the real-time spectrum analyzer provides valuable visual information, and the solo function allows laser-focus for homing the unwanted frequencies. Sometimes, when a static EQ carves away too much in a performance, the F6 Dynamic EQ comes in handy. It also features an RTA, and works dynamically with the program material—meaning that EQ adjustments can be set to only engage once the energy in a band exceeds a threshold. It becomes useful when there's a noticeably resonant range in an instrument, becoming a problem only periodically when the player hits certain notes. In addition, each band can be applied in just the mid or sides channels if desired, which can help to clean up stereo-doubled layers as they work with parts in the center. Overall, subtractive EQ is helpful in notching out frequency bands so that each layer can occupy its own area of the spectrum, which becomes greatly important when working with many tracks. When working with layered parts, let each one take up its rightful space without over-clouding other tracks. Thought of like a landscape, you need to carve some area of the foreground so the mid-ground won't be shielded; and clean up the middle-ground so that the background can show. Though, you don't want the background to be so heavy that the important lead won't be properly heard. One of the most commonly layered elements in modern music production is vocals. It’s typical to have a choir-like section of over 20 tracks of background vocals to work with, and I generally want them to sit further back in the mix than the leads, so some judicious filtering and attenuation helps achieve this effect. Oftentimes, a buildup of low frequencies will occur when an arrangement features many layers of synths and drums. One of the best things to do to clean this up is to use high-pass filters on individual tracks, because not only are these super-subby frequencies unnecessary and inessential on certain tracks, the buildup of them eats up headroom. This becomes a real problem when applying compression and limiting to the master buss, and can result in unwanted pumpiness and distortion. Try pulling your EQ's high-pass filter up until it begins to chop away a bit too much in the mix, then pull it back down slightly; you may be surprised at how high you can go! As I get closer to finishing a mix, say 80-90% done, I find it helpful to apply a bit of mid-side EQ on the master buss, especially when working with dense arrangements. This allows me to make EQ adjustments across the whole mix, with the ability to treat content in the mid (center) channel separate from material found in the sides. Again, H-EQ does a great job here. I’ll first hunt for unwanted boomy, muddy or harsh frequencies in the center and gently attenuate them. Next, a gentle low cut on the sides can really help open up the stereo image, if I want to open up the mix, a subtle high end shelf. Be advised that each and every mix is unique, and I never apply the exact same process to the master buss twice. We can use compression for many different utilities (like texture), but the most common application is for dynamic range control. Overly-sharp transients or excessively loud passages consume much of listeners’ finite energy in listening to a song. The usual suspects when it comes to providing the transient information are generally drums, particularly the snare. It’s important to not entirely ruin transient information with compression; and a good rule of thumb is to stay away from fast attack settings when compressing percussive sounds such as snare. I find that the CLA-76, set to a medium-slow attack, fast release, and with the input and ratio controls set so that it’s applying 2-5 dB of gain reduction does a fantastic job of leveling out snare drum, while providing some added warmth. If you’d like to experiment with more extreme settings, I say go for it, but for ensuring that percussive sounds 'punch' without unpleasantly poking out, this method should do the trick. Other overly loud passages can detract from a great mix, and volume automation helps with this. Compression also works at evening out elements and making sure that parts sit in their own dynamic space. Vocals generally benefit from having at least one stage of compression. A mixing game-changer for me was adopting a multi-buss approach into my workflow. Essentially, on each and every mix, all elements are routed through one of several auxiliary tracks before reaching the master buss. Possible configurations range from relatively simple to a headache-inducing level of complexity. Perhaps start with my template: all drums and percussion, all other instruments, and all vocals each designated to their own busses. There are numerous benefits to working this way. It helps stay organized, allows volume adjustments applied across numerous elements, enables soloing or muting large groups of tracks quickly, and also allows you to process them together. If I find that these groups are competing as I get close to finishing a mix, I can make fine EQ adjustments that allow them to coexist better. If vocals sound dark compared to the drums, a gentle shelving boost applied to the ‘all vocals’ buss may help. If I notice a buildup of low frequencies in my ‘all instruments’ buss, a slight high-pass filter can remedy this. When mixing rock, the ‘all drums’ buss often suffers from a buildup of upper midrange frequencies 2-4 kHz, mostly due to cymbals and transient information. 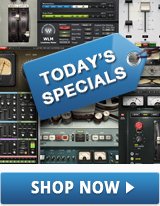 In these cases, I reach for equalizers, compressors, or even de-essers for the buss to smooth out excessive harshness. One of my favorite methods of ensuring that the many elements coexist symbiotically is using sidechain compression, sometimes also known as ‘ducking.’ The basic concept is to use the amplitude from one signal to trigger compression on another. Extreme uses of this are common in electronic music, and create that exciting ‘pumping’ effect, but I like to use it more subtly, so that the listener can barely detect that compression is occurring, if at all. Begin by sending the signal or signals you want to trigger the compression down a buss, let’s say ‘buss 1’ in this case. I often send kick, snare, and a bit of vocals. My favorite plugin for this application is the H-Comp Hybrid Compressor, as the attack, release, threshold and ratio controls are not stepped, and allow for an incredible amount of control over how much gain reduction I want to apply to my ducked signal. One could take this approach even further and use a multiband compressor such as the C6 Multiband Compressor to only compress a specific frequency range of a signal. If I want to achieve a super deep, subby kick drum sound that won’t create conflict with the bass, I’ll send the kick signal down a buss, insert the C6 on the bass, and apply compression only on the lowest band. Now the bass retains a rich, full sound, but its relationship with the kick is improved. Not everything should be loud and upfront, and arguably the best way of setting elements back in the mix is by using spatial effects like reverb and delay. Learning the different types of reverb and delay, and how they affect how different parts sit in a mix is advisable. Though, especially when working with jam-packed arrangements, improper or over-use of the effects can severely cloud up a mix. When the mix is dense, I often place an equalizer after my spatial effects and make adjustments to ensure that they compliment the arrangement, not detract from it. The H-Reverb plugin has a built-in equalizer and damping section, and is excellent for shaping the tone and density of the decay. If MIDI tracks with virtual instruments are used, they can become taxing on a computer during a mix session, so it's usually a good idea to commit, freeze, or print the part to an audio track. The same goes for large sections of background vocals that feature a good deal of processing per audio track; it's a good idea to render them down to one stereo audio file once the section is confidently dialed in, and needs no further adjustment per channel. Once printed to a stereo file, you can still manipulate the stereo track as you would a buss. When printing—to work non-destructively—take the original tracks, hide them and make inactive; if for any reason you want to revisit them as they were before commiting, they'll be out of the way, but available. The bottom line is that a song, no matter how elaborate the arrangement, will ultimately end up becoming a stereo file, so relish any opportunity to simplify the sessions and make them easier to work with creatively and efficiently. Regardless of track count, any of these methods can be applied for easy and efficient mixing. When working with huge sessions, they become paramount in keeping things manageable. These methods will make incremental improvements to individual elements, with the goal that the final mix is defined, open, and large. Top selling artists of the 60s were mostly limited to two, four and 8-track recording, and could only imagine the benefits of being able to record with the monstrous configurations that modern technology allows. Still, Producer Phil Spector (and his many musical disciples, including The Beach Boys’ Brian Wilson) made great use of the ‘Wall of Sound’ technique which became one of the defining sounds of 1960s pop music. Spector and others achieved this sound using a variety of unorthodox arrangement and recording techniques, including using multiple performers simultaneously doubling and tripling parts, and the liberal use of chamber reverb to create lush, long decays. Want to learn more about making super-wide stereo mixes? Get tips, explanations and more on mixing with mid-side processing.